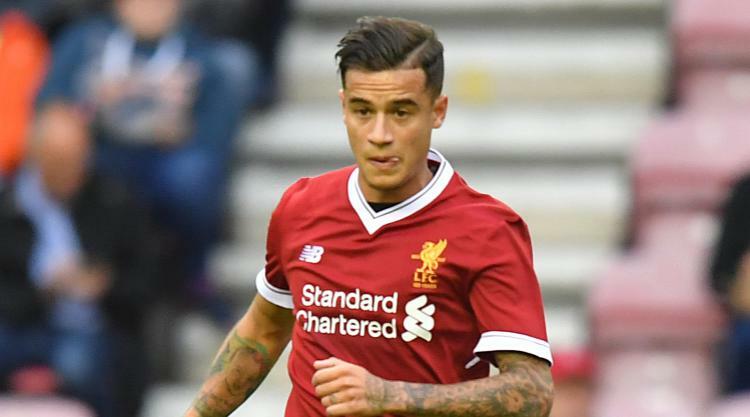 An offer of £130million could see Philippe Coutinho move to Barcelona, according to the Mirror. Liverpool managed to keep hold of the 25-year-old during the summer but it is now thought an increased bid could see the Brazilian make his way to the Nou Camp, said to be a "dream move" for the player, the paper reports. Speculation around Alexis Sanchez's Arsenal future is mounting after boss Arsene Wenger appeared to signal he is open to offers if a replacement can be found in time during the January transfer window. The Daily Mail reports that the Gunners could be tempted by offers of more than £25million - with Manchester City and Paris Saint-Germain reportedly showing the most interest in the 29-year-old. It does not look like Juventus' Giorgio Chiellini will be reunited with his former manager Antonio Conte at Chelsea, according to the Daily Mail. It was thought a move might be possible in the January transfer window but Conte has accepted the 33-year-old will finish his career at the Italian club, the paper reports. Meanwhile, David Luiz, 30, and Michy Batshuayi, 24, could leave Stamford Bridge, if they so choose, the Telegraph claims. Conte has hinted he will not get in the way of the players should they want to move, the papers says, but the boss also does not feel there are enough resources in the squad to afford losing any players on loan or permanently without finding replacements. Alex Sandro look set to be heading to Chelsea, the Mirror reports. The Blues had hoped to bring the Brazilian to Stamford Bridge last summer, and having made him a key target ever since, now look poised to push through a £50million deal this month. The paper says the club are hoping to get their bid in before rivals Manchester United. Atletico Madrid's Nicolas Gaitan appears to be in high demand, with Southampton, Everton, Crystal Palace and West Ham all keen to bring the 29-year-old to the Premier League, the Daily Express claims. With Diego Costa and Vitolo signing for the Spanish side, it is thought the midfielder could be up for grabs at a bargain price.